Exhibiting side-by-side under the Got a Trade? Got it Made! 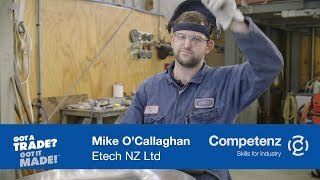 banner at this year’s CATE Conference is helping Competenz and nine other industry training organisations (ITOs), raise the profile of training and career opportunities in New Zealand’s trades and services with 500 secondary school careers advisors from across the country. “CATE is a really important event for school career advisors and ITOs, and combining our message by exhibiting together is a great way for us to increase awareness of the terrific careers on offer in the trades,” says Competenz Careers Manager Joanne Verry. Ten ITOs are exhibiting together at CATE. They are the seven founding members of the national Got a Trade campaign (BCITO, Competenz, Connexis, HITO, MITO, ServiceIQ and The Skills Organisation) and three newcomers (Careerforce, Primary ITO and Skills Active). Together these ITOs represent more than 120,000 learners and 5,000 employers across 100 industry sectors. Competenz Careers Manager Joanne Verry and Careers Advisors Brian Lane and Kimberley Ward (pictured left to right) are attending the conference. 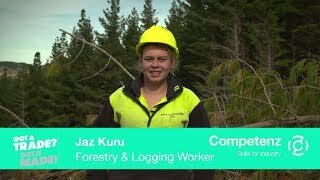 They are talking to careers advisors about the 2016 Competenz careers offer for schools, which includes new Gateway programmes to prepare students for careers in forestry, baking and butchery. The Careers and Transition Education Association (CATE) Conference is an annual event for people working in career and transition education. CATE members include school careers advisors, transition teachers, Gateway coordinators, and vocational pathways leaders, as well people working in private careers practices, in the tertiary education sector, and with Careers NZ. This year’s conference is taking place in Palmerston North between 17 and 19 November. The event attracts more than 500 careers advisors from secondary schools throughout the country.